Ballroom dancing is a fun and easy form of exercise. If the thought of going to the gym makes you queazy, or if running is too difficult on your joints, ballroom dancing may be a great alternative. It is a great way to still work up a sweat without being a high impact sport. Many people have gained better flexibility, balance, and overall health due to Ballroom dancing. Regular dancing helps to reduce the risk of cardiovascular disease, high blood pressure, type-II diabetes and cancer. And you’ll enjoy yourself so much you’ll forget you’re exercising! According to many recent studies (http://documents.usabda.org/1019/) it has also been proven to help reduce the risk of getting dementia. 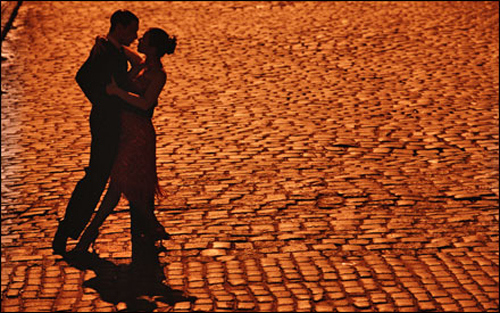 If you’ve ever wanted to sweep someone off their feet dancing is one of the most romantic ways to start. Ballroom dancing is not just dancing, but combines an appreciation of music, etiquette, manners, and social grace. It is a great venue for meeting new people without the atmosphere of a bar or club. Being a few inches away from another person for an evening or even a few minutes helps to create a more open, understanding, and sensitive connection between human beings, and helps ones outlook on life become more positive. What benefits would you like to gain from your dancing?